Posted on December 17, 2016 by Mike Sonnenberg Posted in Historic Places, upper peninsula	. I wish this was a story of a wonderful Christmas miracle, but instead, it’s about a celebration that ended in tragedy. The town of Calumet, in the Keweenaw Peninsula, was one of the wealthiest towns in the United States in the late 1800’s because of its copper deposits and mining industry. The Italian Hall in Calument, on the left side of the building you can see the arched doorway that remains as a memorial to those who died. 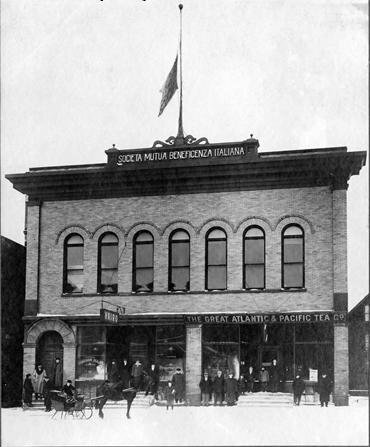 The Italian Hall was built in 1908 as headquarters for Calumet’s benevolent society. The Society, organized along ethnic lines, encouraged and financially aided immigrants and provided relief to victims of hardship. Following the 1913 Christmas Eve tragedy, the hall continued to be used for nearly five decades. The two-story red brick building was razed in 1984. 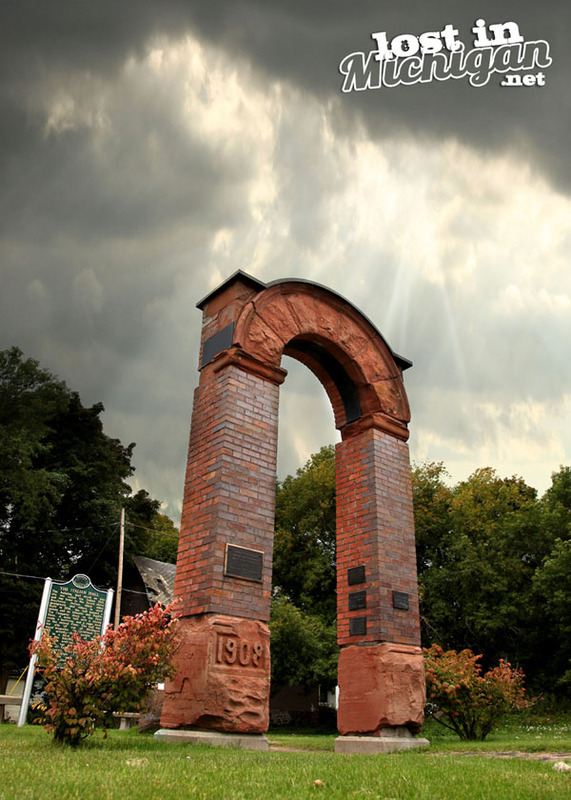 Through the efforts of the Friends of the Italian Hall and Local 324 of the AFL-CIO, the site of the building became a memorial park dedicated to the people who lost their lives in 1913.